Rt Rev Prof Emmanuel Martey, Moderator of the Presbyterian Church of Ghana, has called on devotees of the various faiths in Ghana to coexist peacefully in order to foster religious tolerance and unity among one another. According to Prof Martey, who is also the Chairman of the Christian Council Ghana (CCG), devotees for the various faiths in Ghana need to learn how to live, work and walk together in harmony and peace to avoid the any form of religious turmoil that could destroy the country. Speaking at the launch of the maiden edition of the ‘Interfaith Harmony Week’ in Accra on Wednesday, he stated that religious fundamentalism is a major challenge facing the world today which has led to the loss of lives and properties. “We are also aware of religious extremism, excessive atrocious attacks and terrorist acts committed in the name of religion. It is among Christians and other religions. A question about how to foster harmony among all people in the world regardless of their faith keeps cropping up,” the CCG chairman said. The week-long event slated for September 28 to October 4 is designed to bring together the various religious sects to engage in activities that would promote religious tolerance. Ghana, a nation touted as one of the most peaceful countries in the world, has recently recorded some pockets of tension among Christians and Muslims in some parts of the country, he mentioned. 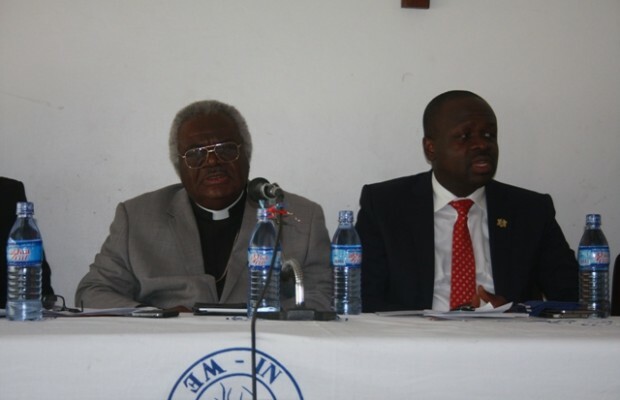 Prof Martey added that it was in response to those pockets of tension that the Council of Churches in Ghana took the initiative to create a platform that would enable constructive engagement among the various faiths with activities that would foster religious tolerance, unity and peaceful coexistence in our society. Minister for Communications, Dr Edward Omane-Boamah, disclosed that no meaningful development could take place in a nation with people of different faiths living in acrimony. He commended the various religious leaders in Ghana for teaching their followers to respect people of other faiths, which had become a source of pride for many. “Interfaith harmony is very important issue in the life of every nation. There cannot be a society without interfaith cohesion, because our society is made up varied people with varied beliefs and cultural values. “In our country, we have had some religious tensions in the past. These tensions led to the destructions of several properties and the loss of lives. Innocent children and socio-economic activities have hugely been affected as a result of religious clashes in the past. The story is better today,” he said. The event brought together a host of religious leaders, including Sheikh Armiyawo from the Chief Imam’s Office, among others.